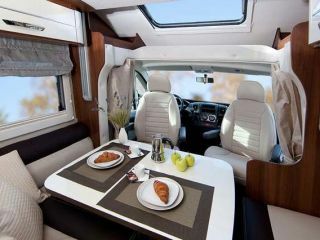 With the motorhome you can enjoy your freedom from the first minute of your holiday. If you see a beautiful village or piece of nature, you stop and enjoy yourself immediately. Ready to experience endless adventures and literally enjoy the little things. Are you tired or do you think you have driven enough, then you stop at the next motorhome place. This motorhome has everything on board. 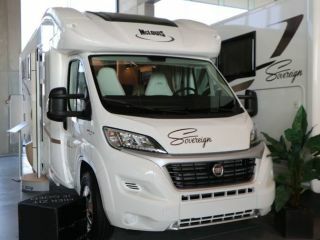 In our much too busy life we ​​use our motorhome only a few times a year. We would not want another holiday ourselves. 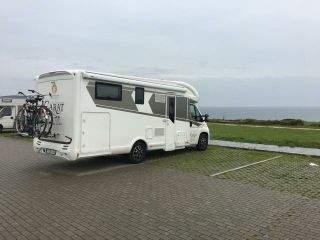 This enjoyment and the fact that our motorhome often stands still has prompted us to rent our motorhome. - Very practical mobile home, suitable for family with children. The bed at the back is a queen-size bed and at the front of the living room a second 2 person bed sinks down. All beds have mattress protectors. - Large fridge and separate freezer. - very large garage where you can easily cycle. - Low consumption thanks to the integral design with powerful 150 hp engine. - Everything onboard, garden chairs, tables, cutlery, bedding, towels, ........ boarding and driving ;-). - Furthermore, the mobile home is equipped with an automatic double SKEW satellite, DVD, navigation especially for mobile homes that knows the dimensions of this mobile home and takes this into account when providing road guidance.